Asthma is one of the leading medical reasons why kids miss school, but experts say it doesn’t have to be that way. Asthma is a controllable condition, and doctors say the vast majority of hospitalizations due to the disease are preventable. But what does prevention look like, and how do we get there? 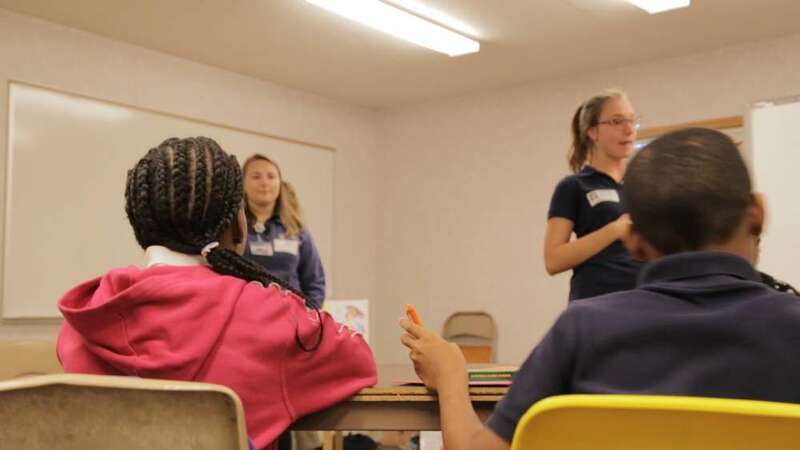 One local effort is underway at schools in Cleveland’s Slavic Village neighborhood. Slavic Village is a hot-spot for children with asthma, according to a 2018 report on children's asthma by Better Health Partnership (BHP). BHP is a group of health care providers and other organizations aiming to improve health outcomes in Northeast Ohio. It used data provided by its network of providers caring for almost 96,000 children in Cuyahoga County to map out cluster areas where large numbers of children had an asthma diagnosis between 2016 and 2017. They found that children in Slavic Village had some of the highest asthma diagnoses during that time, at a rate of 21% or higher. The school-based intervention program in Slavic Village is called Open Airways. It's run by the American Lung Association and is designed to help young kids understand and manage their asthma. 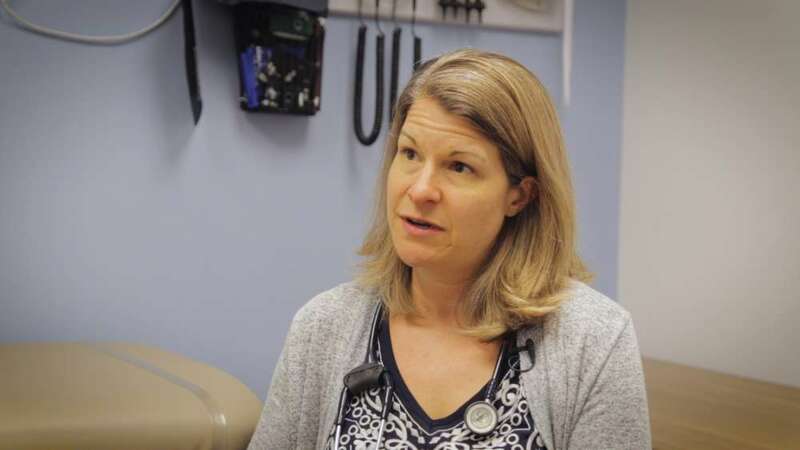 A key piece of the curriculum is making sure kids know how to use their inhalers properly, according to Dr. Kristie Ross of UH Rainbow Babies and Children’s Hospital. She says that not using a spacer is one of the main mistakes she sees among kids with flare-ups. A spacer is a big fat plastic tube that ensures medicine does not sit in the mouth, but instead flows into the lungs. “The technique really matters, and if you're not using the inhaler correctly then the medicine is just going in your mouth. It's not getting where it needs to go, " said Ross. According to a review published in the Canadian Respiratory Journal, educational programs, like Open Airways, can help reduce flare-ups and missed school days caused by asthma. But, Ross says knowledge alone isn’t always enough. Neighborhoods with the highest rates of asthma are often those with high rates of poverty. Ross and other doctors say when parents struggle just to put food on the table, managing a complex disease like asthma presents an even greater challenge. For example, if a family doesn’t have reliable transportation, they might not be able to pick up a medication refill as soon as it’s needed. Or a parent working multiple jobs may not be in a position to help a child use an inhaler properly. Ross points to the work of Better Health Partnership as a source for developing potential solutions. Executive Director Rita Horowitz says that if we are right about asthma being a controllable condition, then no child should miss school because of asthma. "That's number one. That would be an ideal. And none of them should be hospitalized because of asthma," she said. Sitting in a conference room amid the series of colored maps the organization created to depict asthma cluster zones, Horowitz and her colleagues discussed another Cleveland hot-spot: a region of the Clark-Fulton neighborhood. “So that’s an example of where we should take a closer look at what’s going on in that neighborhood,” said Horowitz. Now that Better Health Partnership has a picture of what is going on in terms of trouble spots, the next step is to figure out why certain places are cluster zones. Horowitz says they plan to correlate their maps with other data sets. "So where we see high rates of asthma, we will be able to look at the type of housing, maybe the air quality that's in those areas," she said. "We're really trying to bridge the clinical community with social services and other kinds of environmental services to address the problem." Besides hot spots, Better Health Partnership also plans to look for bright spots, or examples of programs where things are working well to help kids control their asthma. The goal is to spread solutions that work among their large network of providers. And often, those solutions need to happen outside the doctor’s office. Experts say more school-based programs continue to be on the list of potentially promising strategies. Another one focuses on having trained community workers visit the homes of asthma patients in order to fix problems that trigger asthma attacks, like mold, insects, and dust mites. But finding stable funding to support such programs remains challenging. Horowitz and other public health experts say ultimately, it all comes down to money and priorities—and bridging the gap between the doctor’s office and the rest of a patient’s life. Watch: Learn more about community-wide, collaborative approaches to addressing childhood asthma by clicking on the video below.